The arrival of two F/A-18Bs at RAAF Base Williamtown in May 1985 marked the beginning of the end for the Mirage as Australia’s premier fighter after more than thirty-years of service. 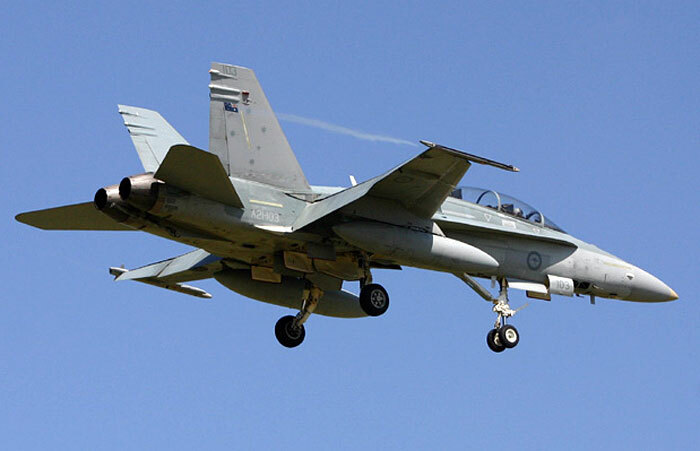 Now, twenty-years later, the Hornet is still regarded by many as a new fighter, representing as it does such a dramatic leap in capability over its French predecessor. 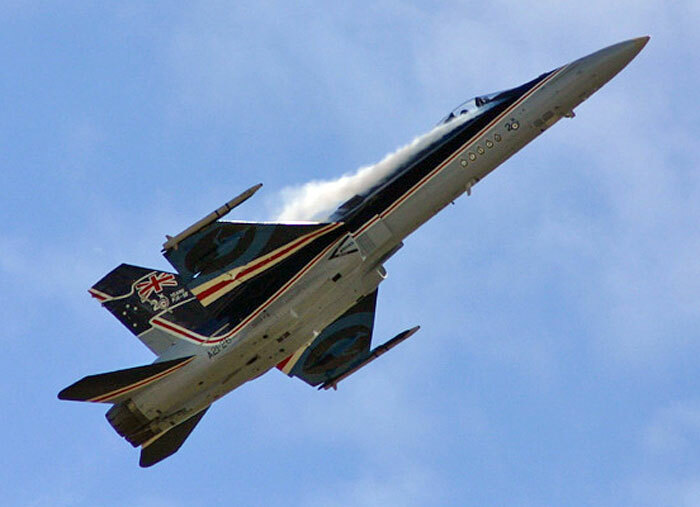 The Twentieth Anniversary of the Hornet’s entry into service is seen as an opportunity to celebrate its service record. 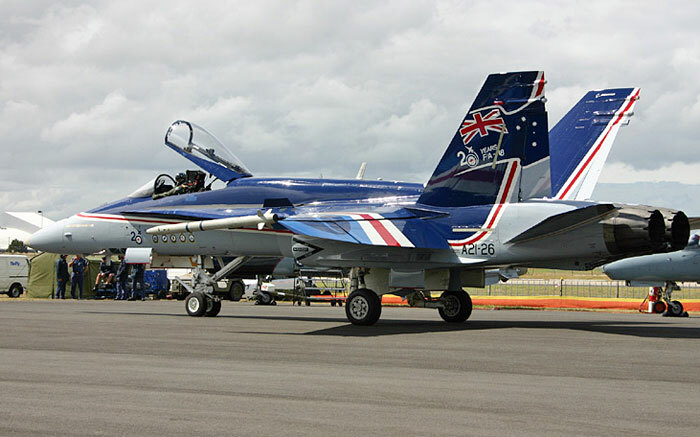 With such a significant anniversary the RAAF and Boeing applied a special colour scheme to A21-26 to highlight it to the world. 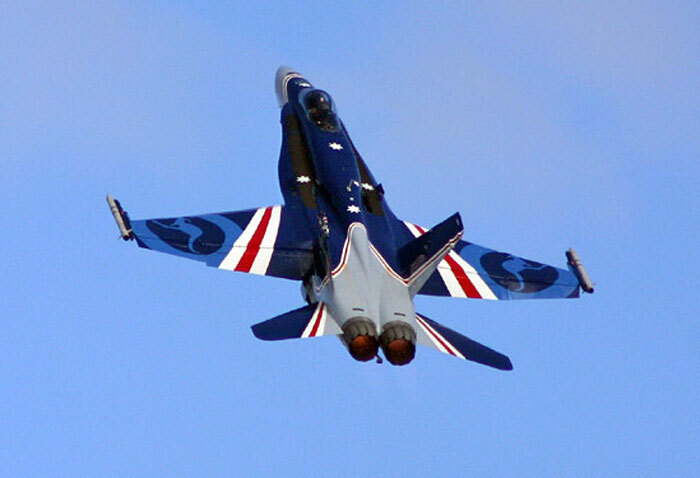 The aircraft was unveiled just this week at the Avalon Air Show, held near Melbourne Australia every two years. The very first Australian assembled Hornet, A21-103, was also on display at Avalon.